​Fulham ended a run of nine consecutive Premier League defeats with a comfortable 2-0 win over Everton at Craven Cottage - recording Scott Parker's first win as caretaker manager. After a bright first half, that saw Aleksandar Mitrovic strike the crossbar from distance, the hosts were rewarded with the game's opening goal one minute after the restart, as Tom Cairney arrived on cue to stroke the ball beyond Jordan Pickford. 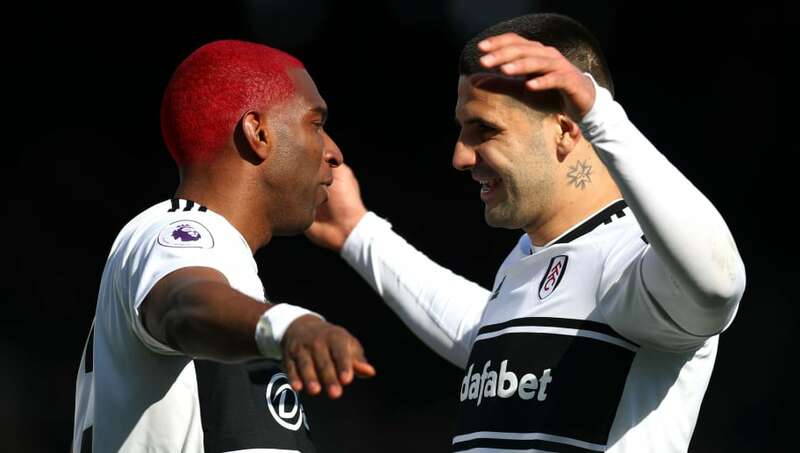 It was 2-0 after 69 minutes thanks to former Liverpool forward Ryan Babel, who took Mitrovic's pass in his stride before producing a lovely dinked finish over an onrushing Pickford to wrap up just Fulham's fifth league win of the season. While Fulham's relegation from the Premier League is already confirmed, it didn't stop Scott Parker's side producing a spirited display that has alluded them for the vast majority of the season. The Cottagers had the better of the first half, with Mitrovic the pick of the Fulham players as he caused the Everton defence all sorts of problems, although it wasn't until the second period that they got their just rewards courtesy of two well-taken goals. #FULEVE Great to see #Fulham get a well deserved win over Everton. Fulham fans would be within their rights to question where the fight and energy they saw against the Toffees at Craven Cottage was throughout the season - with some players playing for a potential move a possible reason - although more displays like this will give fans of the west London club hope in the Championship. Starting XI: ​Rico (6); Fosu-Mensah (6), Ream (6), Le Marchand (6), Bryan (7); Chambers (7), Anguissa (7); Sessegnon (7), Cairney (7), Babel (8); Mitrovic (8*). Substitutes: Christie (6), Seri (N/A), Odoi (N/A). Although he didn't get himself on the scoresheet, Aleksandar Mitrovic was the best player on the pitch at Craven Cottage, with his physical presence too much for the Everton defence to handle. He could've scored in the first half, and he saw a header tipped over by Pickford and an effort strike the crossbar. Mitrovic did at least register an assist for Babel's second, with a performance like this certain to make a number of clubs around Europe sit up and take notice. Despite being relegated already, it's something to build on. Defenders look a bit nervous but I think that is more to do with Mitrovic having a great game. Attacking players have been so awful though. They need to step up a gear. The Everton side that played at Craven Cottage looked worlds away from the one that had recorded three consecutive wins against Chelsea, West Ham and Arsenal, in what was a pitiful display against an already relegated Fulham. Signs of a poor display were apparent from the off, thanks to Pickford's clearance inside the opening minute that cannoned off Phil Jagielka and could've gone anywhere. Passes were continually misplaced and they looked second best in number of challenges, with the visitors rightly punished after the interval. Poor all round! making Fulham look decent, Mitrovic getting far to much joy! Jags off Keane on. And so ends another @Everton season. Failing to handle pressure against an awful team once again. No consistency, no resolve. Serious mentality problems still exist in this Everton squad. So poor today. The added incentive of sides losing around them in the battle for seventh place - which could secure a spot in next season's Europa League - makes the performance in west London even more baffling, and highlights the work still to be done by Silva at Goodison Park. Starting XI: ​Pickford (5); Coleman (5), Jagielka (4), Zouma (5), Digne (4); Gomes (5), Gueye (5); Richarlison (5), Sigurdsson (5), Bernard (5); Calvert-Lewin (6). Substitutes: Lookman (5), Tosun (N/A), Walcott (N/A). The term 'best of a bad bunch' comes to mind, but at least Dominic Calvert-Lewin looked a goal threat of some sorts, with Everton's best two chances falling to him. He should've done better with a near-post header at the end of the first half, and was unfortunate to see an effort flick off the outside of the post after half-time, but in truth, it was a day to forget for all connected with Everton. Next for Fulham is an away trip to Bournemouth in a week's time, as they look to secure back-to-back wins. Everton, meanwhile, host Manchester United next Sunday, where they will be desperate to bounce back following their limp display.